Winner or loser at Blog Awards? – My thoughts on a page. Winner or loser at Blog Awards? to whatever else you need to do. If you’re in no hurry, here is the update. Waaah…. I’m giving up blogging. I was beaten by French foodie in Dublin. and lives in the place which still holds my heart. You all told me I was great! Well no actually, that is not my real post. are not now fidgeting uncomfortably on my behalf. Every bone in my body saying “walk away”. hence the 200 km journey had taken quite some time! a sea of faces, and I knew none of them. had kept a seat at her table for me. such was the relief I felt in that moment. As I relaxed I was able to look around. 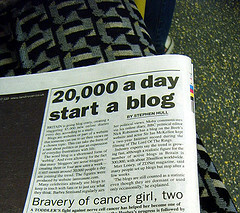 were more than 200 fellow bloggers. I had never read or heard of before. It struck me how little I know of this world. but many like to write for other reasons. was the joy of blogging. love to write but not to talk. A simple “Thank you”, was all that most could say. as on the night, I was equally guilty. who had reached out to me before the event. They were so very friendly. I could not bring myself to go look for them. A chicken, at my age! There were thirty two categories. How did I feel about not winning? was not really that relevant. I love my blog, and I love blogging. So as I left, I still held my head high. but ultimately it was just a moment in time. me, the laptop, and “my thoughts on a page”. I am further reminded of what is real in my life. insisted on driving me to the Awards. I was not leaving empty handed. I was going home with a great prize. mind you so is he! Why? What can I say? Yes I have to say it was a fantastic surprise. I am delighted still, it will keep me writing for another while anyway! If “winning” is your goal then I hope you do. All good things in time. No it’s not really my goal. Writing and enjoying my blog are my immediate “goals”. You were one of the Finalist. That’s an achievement. I always enjoy your blogs. Good Luck to next time. Thanks a million. Who knows what the future holds but sure we’ll keep writing and blogging for now anyway, and hope it is always as enjoyable as it is at the moment. Those of us who read your blog consider you a winner in all things, Tric. Thanks for the update. Thanks Susan. I am very contented with my lot and the night was a great experience. WINNER WINNER CHICKEN DINNER! (I have no idea what that means but people say it all over the place here). I am glad you won. What? Yes you did. You were there. People love you. You won. 😉 What a great experience. Yes. Imagine if we all got to meet? All those who comment on our blogs and who we enjoy reading. Next time I would love to know a few more of my fellow Irish bloggers so that I could meet them in person. It would be fab. Of course I did already promise you bed and board it you ever appeared. In the end, it is not the judges opinion that truly matters, it is your readers. You do not blog to please judges but to please readers and everyone who had their blog nominated for an award by their readers has obviously achieved that goal and should consider themselves a ‘winner’ ! I cheated too, I was shamelessly stalking that site for hours tiill they finally coughed up the results… Tric, here’s to a brilliant blog that will always be a winner for me. Hic. (Mental note: 1) stop butting in on Duncan, and 2) find another excuse for drinking). you need an excuse for drinking ? Maybe but we will catch up on you someday. Slainte. Thanks Duncan. I might have known you’d have no patience. I do still feel thrilled to have got so far. I am slowly becoming happier in my skin as a blogger/writer. This and encouragement from bloggers like you have got me this far, where i am going who knows. It was also a real eyeopener to see so many bloggers together, a world I knew nothing of 9 months ago. this is a wonderful post as always, tric. i think you gained an even greater prize that evening, the understanding of the wonderful world of writers around you, the support from them, from your partner, and many others around the world. you may hold your head up high and know, out of all of the writers in the world, you were one of the few recognized and nominated for this very special honor. bravo tric! Thanks a million. My head will be getting big shortly! 🙂 It was a most enjoyable night, despite not winning. Thanks a million. I too am normally a “prolific” talker, that is why I was so aware of the spread of shyness. The picture was one I found, and like you anytime I knock across it I too wonder. Isn’t it funny how commenting can sometimes spark a thought? you made the FINALS!!!!!! sheesh that’s an accolade in it’self! as to the winner….a foodie….yuuurgh! I work in a restaurant and can tell you with no shame that foodies are universally hated by chefs all over the planet – and often with good reason. There’s nothing worse when someone who ‘dabbles’ comes in and wants to discuss new and exciting innovations with someone who spends 12 hours a day toiling over a hot stove, so baaah to the foodie! I’ll stop being a hater now, now……..hehehehe! I didn’t make Saturday but if I was there I would have found you/stalked you. Next year? You winner you! Well done on your great humor blog being recognized. I do really hope I am still enjoying blogging next year and have got to know you all better. If I do go I think I’d be on for staying the night! At least reading my post you can kind of imagine being there. I totally can. I would have been horrifically nervous had I gone. Thank you and looking forward to meeting you next year, or sooner! I love what you did there at the end. Every finalist was a winner. I can say that, not having made it to the finalist stage meself. Thanks a mil. I hope he reads my post and I get a few brownie points as so far I owe him, never a good thing! As for making the finals, yes I was thrilled but there are loads of great blogs and posts out there. I particularly liked your post “Party of the first part”. It was so very clever. I love this post! Especially as a fellow non-winner in your category 🙂 I wish we’d managed to all meet on the night now – next year for sure, and in the meantime, plenty of space for online chat. Ha ha. Yes we could have got mean and angry together, or just drunk! Next year for sure, regardless of nomination. Dear God tell me your site is sorted? yes! come over and say hi!! I’ve tried. It says you have it marked private! oh! 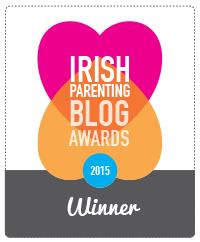 strange – did you try http://officemum.ie/ ? I think it’s working now because a few people have read the post I published tonight – hope it’s working, can’t take more stress!! Yes that works but you need to link your gravatar to your new address I think because when I clicked on Christine and now office mum, I couldn’t get in, which is what anyone would do reading your comments. So now back to your post! ah of course! my gravatar is probably lost in space now – thank you for letting me know! Thanks Deo. You are definitely in my corner. I so appreciate your support. You are right it was a huge honor and an achievement to make it to the final on this my first year blogging. I am still smiling even without an award. That is so awesome that you went to a blogging award ceremony! Great job! Really interesting to hear that so many were shy. We are all so uninhibited behind our computer screens but it makes sense that some would feel vulnerable in fellow blogger’s presence. I probably would too but if I were to get together with a small group of my favorite bloggers, I have a feeling it would be a different story 🙂 Congrats again on your great blog! Awwww…but you are a winner in my eyes:). Did you at least get to wear a fancy dress, and have free cocktails, and feel like you were amongst the elite? That makes it worth the trip. Also, is that a picture of you and your husband from the back view? :)… I just keep trying to get that glimpse! I’ll just pretend it is, so don’t tell me the answer! Congrats on being in the finals!